← Labor Day, Legalism, etc. This post is from my third and rarely-mentioned, rarely-updated blog, i4Daily. It was a photo blog I started when I still had an iPhone 4. This post was published almost 6 years ago, back when I still had a study. 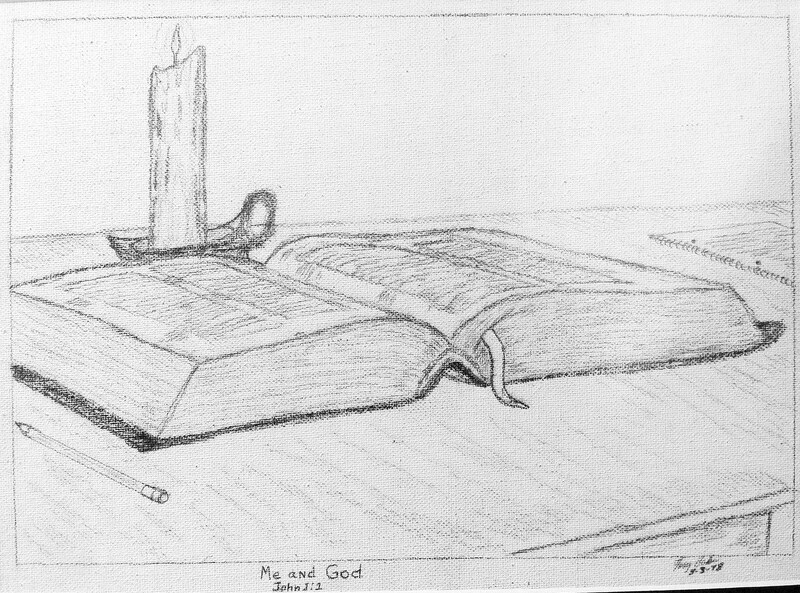 My father, Terry Baker, drew this back in 1978. It is a simple sketch on canvas. The message is simple, too. Ironically, it was only when I was uploading this picture from my iPhone that I noticed something – the candle. Every time I study in my office I light a candle. I don’t do it for any “spiritual” reason; just because I like the warm glow and scent that helps set a contemplative mood. As I looked at the sketch I wondered if my dad felt the same way. Maybe that’s why I do it.